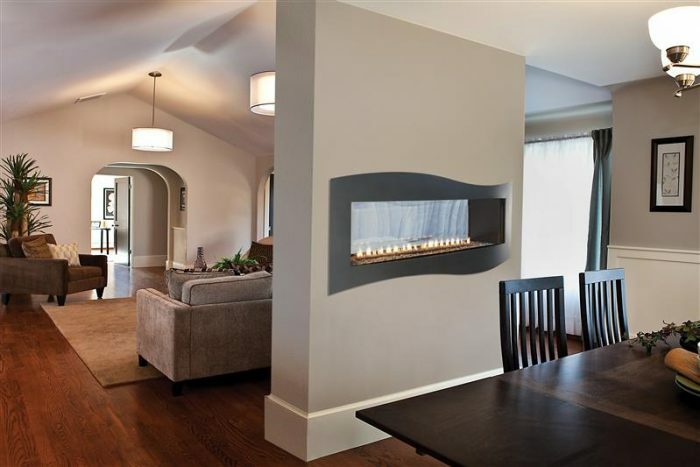 The Millivolt system operates with a standing pilot and includes an on/off remote control. 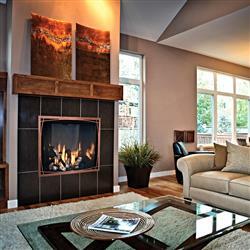 Additional remote controls are available – including thermostat and programmable models. The Green Earth Preferred Intermittent Pilot system eliminates the standing pilot – saving energy – and comes standard with a thermostat remote that allows you to adjust the flame height to suit your mood and heat requirements. 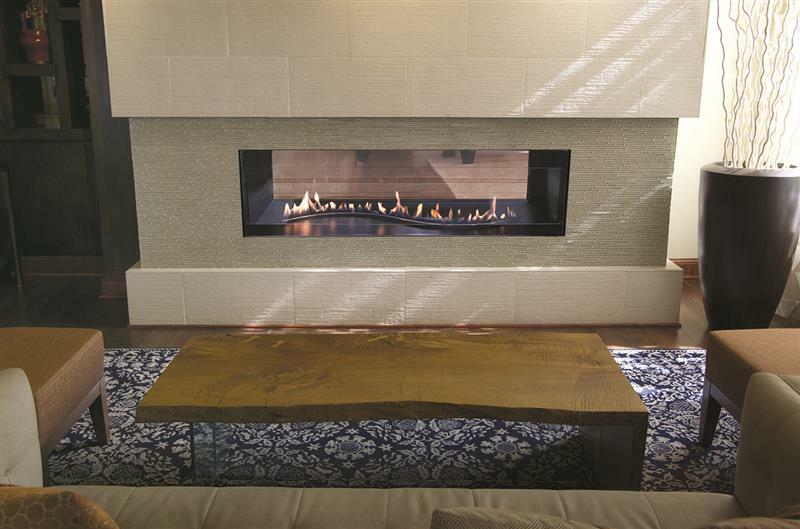 Press the button to light the fire – or just let the thermostat maintain your desired room temperature. 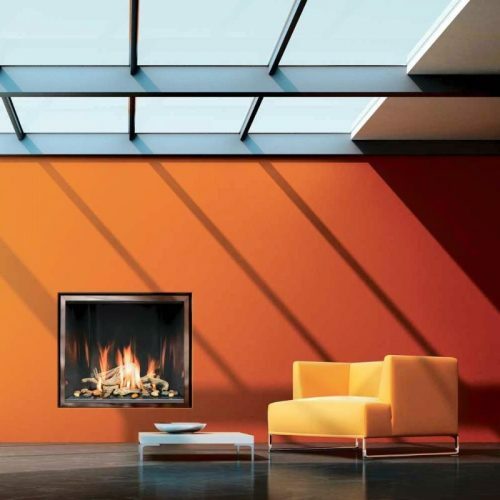 Thanks to advanced logic circuitry, the IP system’s thermostat anticipates heat demand to minimize temperature fluctuations in the room. Available in 48-in, 48-in See Thru, 60-in and 72-in widths! Go for the dramatic with the 60 or 72 inch models! 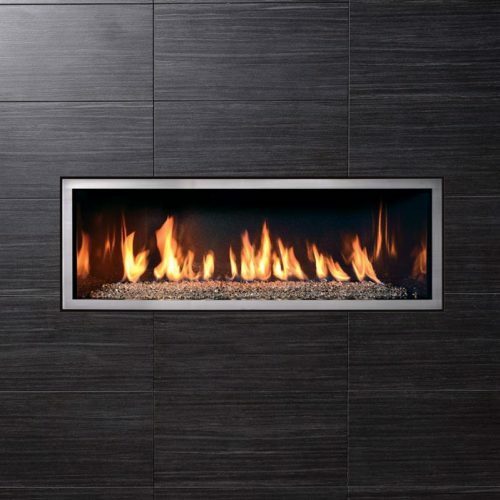 With its oversize proportions, its contemporary burner, and its programmable lighting system concealed beneath an ocean of crushed glass, a Boulevard Large Linear Vent-Free Fireplace makes a bold statement that’s sure to turn heads in any setting. Choose the Boulevard 60 or Boulevard 72 – as in a true five foot or six foot fireplace opening. Both systems are available in LP (38,500 Btu) and Natural Gas (40,000 Btu). 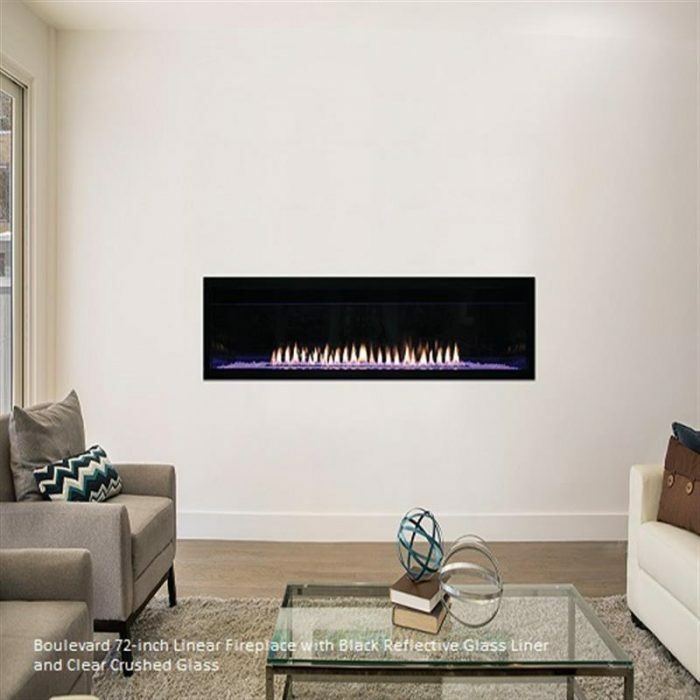 Accessorize your Boulevard Fireplace with the unique ceramic glass black reflective liner to create the illusion of unimaginable depth; or opt for the brushed stainless steel liner for a brighter contemporary feel. 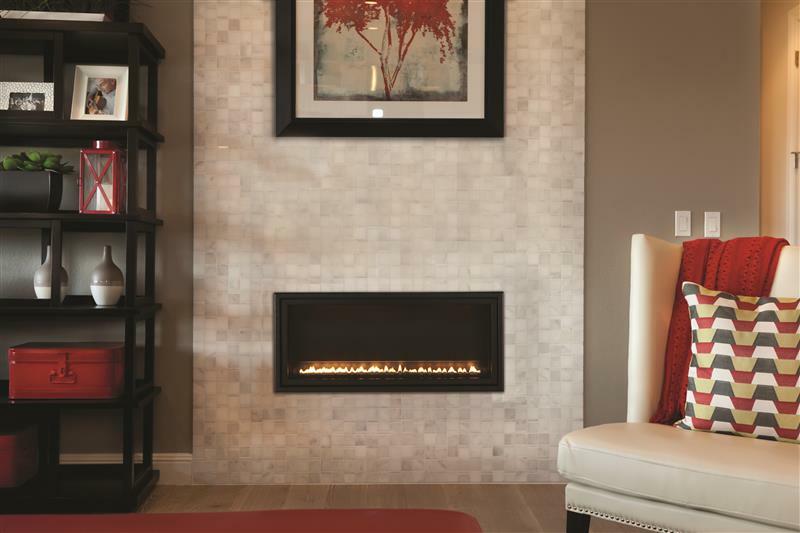 Choose one of two decorative 1½-inch beveled fronts in brushed nickel or matte black, a simple black ¾-inch frame, or have your contractor install tile, stone or plaster right to the fireplace opening– the ultimate in design simplicity. Your Boulevard requires clear crushed glass to cover the lighting system – five square feet for the Boulevard 60 and six square feet for the Boulevard 72. 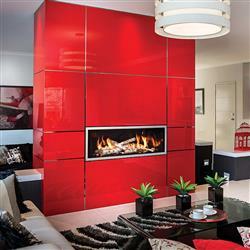 Add a small amount of color glass or other decorative media, if needed, to help tie the fireplace visually to your room. Or create a beachfront cottage look with the Blue Bay log set – with six slender driftwood logs perfectly proportioned to the Boulevard’s lines, plus an assortment of stones. The logs and stones are molded from ceramic fiber and hand painted for rich detail. 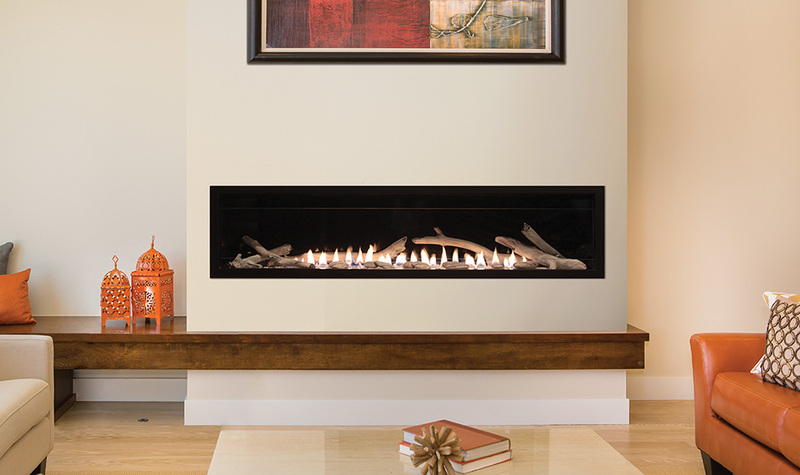 At up to 40,000 Btu and 99-percent efficient, your new Boulevard Fireplace can warm a large room with ease. 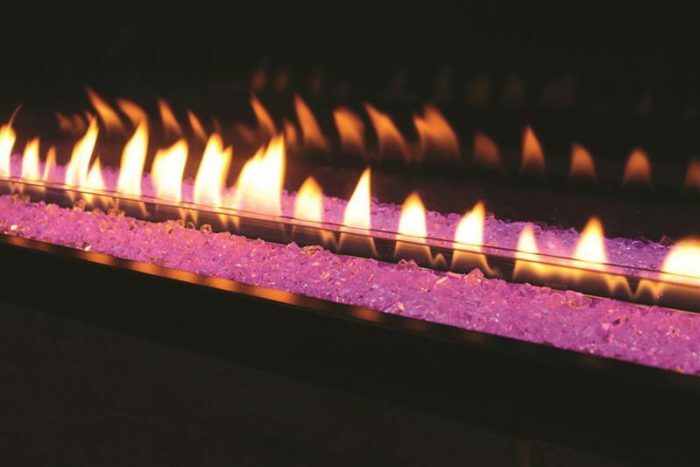 And thanks to its advanced technology, you control the temperature and the ambiance. 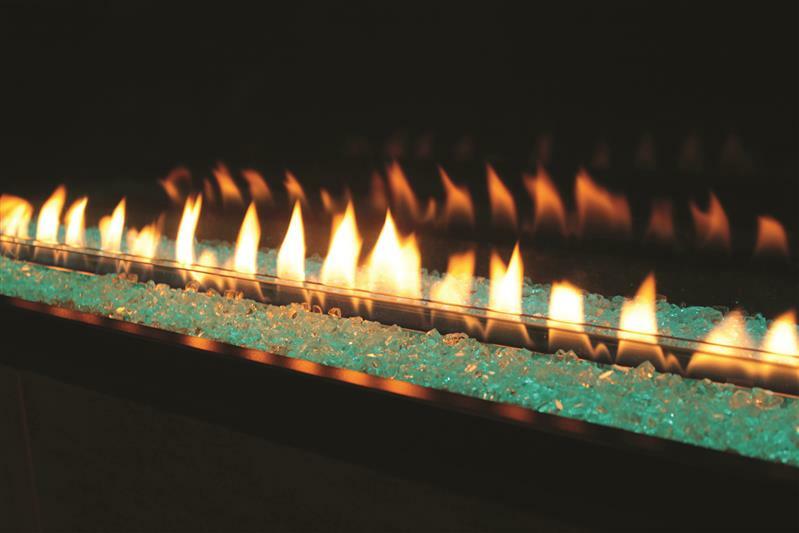 The Boulevard’s Green Earth Preferred Intermittent Pilot system eliminates the standing pilot – saving energy and your money. 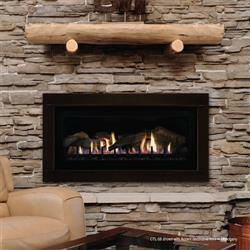 When you want fire, press the button – or just let the programmable thermostat maintain your desired room temperature. 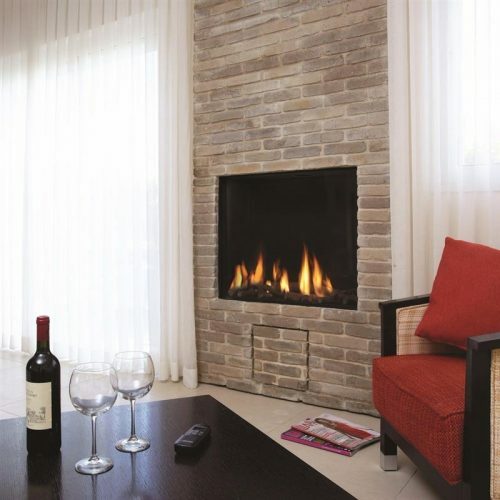 Thanks to its advanced logic, the thermostat remote control anticipates heat demand and varies flame height to minimize temperature fluctuations in the room. In the event of a power outage, your Boulevard fireplace can operate on battery backup mode – to provide lifesaving warmth for your home until power is restored. 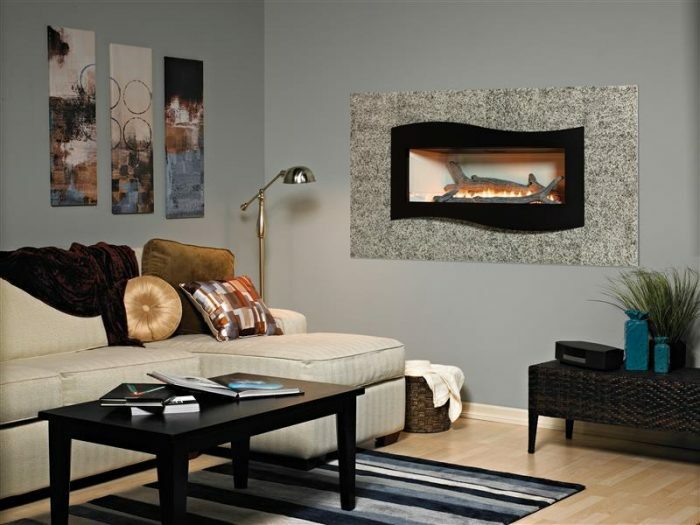 Visit our showroom today and speak with one of our knowledgable sales staff to begin designing “Your Fireplace”.